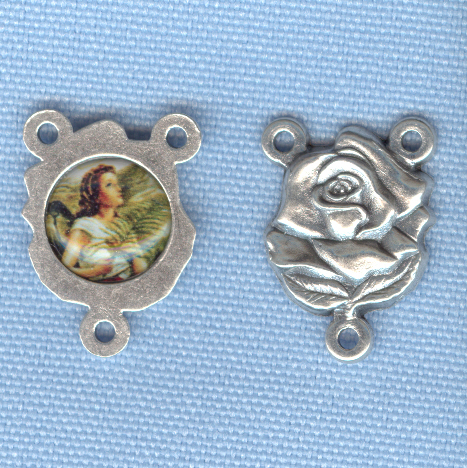 Italian oxidized silver plate Rose centerpiece featuring a color image of the Saint Agatha patron saint for breast cancer on the back. I had this center made specifically for me, so you won't find it anywhere else. 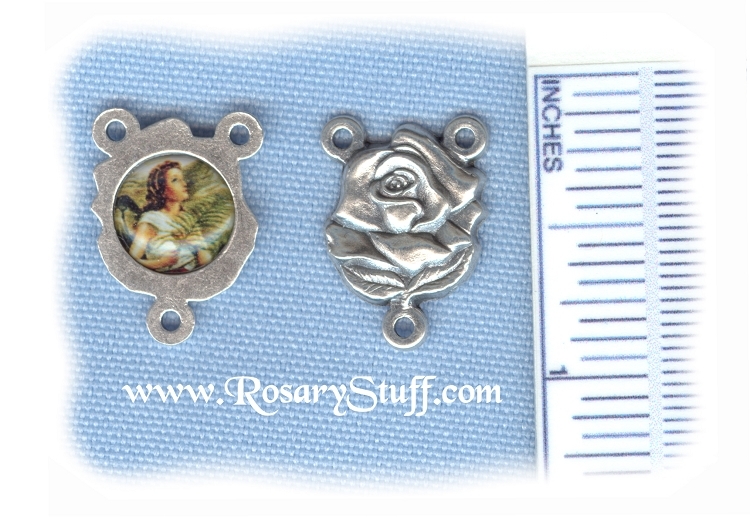 Click here for more information on this amazing woman!A little over 3/4 inch tall (including rings) and 1/2 inch wide.